Need Quality Appliance Repairs in NYC? From built-in kitchen appliances to premium laundry room appliances, our team of highly trained professionals and experts are ready to assist you with any repair or maintenance needs you have. We always provide quick responses and quality service! Having issues with your high-end appliances? Mr. Appliance of NYC® makes sure your kitchen and laundry room appliances are reaching top-notch performance again in no time. Our team offers flat-rate pricing and upfront quotes so you know exactly what you are paying for. We know your time is valuable and understand the importance of getting your premium appliances running again quickly. 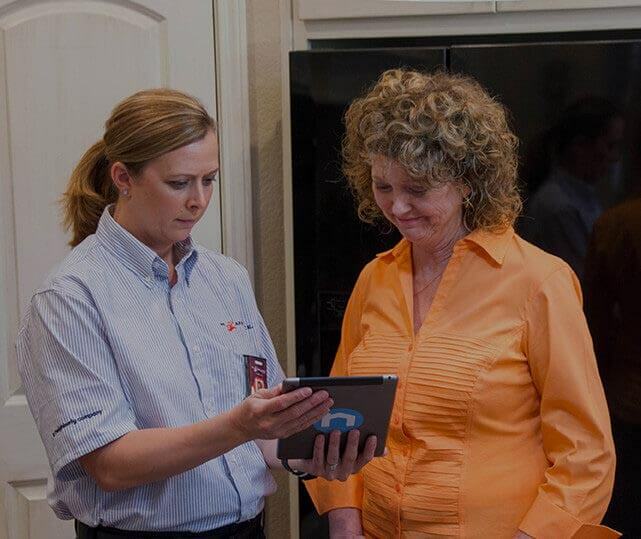 Why else should you call on our team for your appliance concerns? We arrive on time, ready to get to work. We leave your home cleaner than we found it. We employ highly qualified and trained appliance experts. We are skilled in repairing high-end brands. We guarantee all our work for a full year. Restore comfort and convenience to your home by calling our NYC appliance repair specialists at (855) 793-9878. At Mr. Appliance of NYC, we take pride in delivering exceptional results to our customers. We know how important your home appliances are to you, which is why we are just a phone call away. We remain flexible and work around your schedule, arriving in the early morning or later in the afternoon. You can trust our team to provide efficient and effective services, guaranteeing your 100% satisfaction. When you’ve invested in premium appliances, you don’t want just any professional handling your repairs or maintenance. Our team of skilled appliance repair specialists have undergone extensive training to ensure we are equipped to handle a select range of high-end appliance brands. You can have peace of mind and assurance when Mr. Appliance of NYC is on the job. Get efficient service from our high-end appliance technicians today! Call (855) 793-9878 to schedule service.